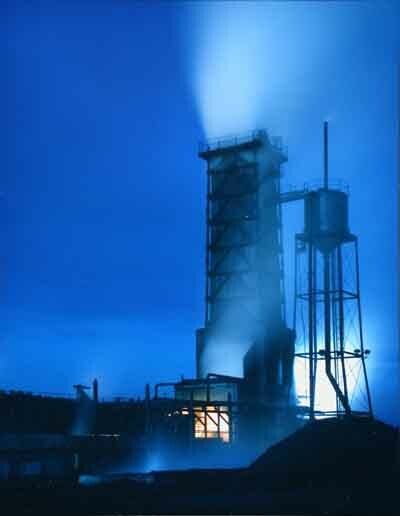 Michelle Keim studies the industrial/architectural settings of the Midwest with a large format view camera. 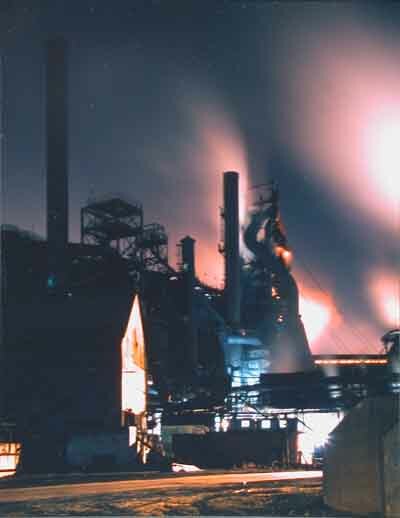 Her images of the hulking exteriors of freight ships, blast furnaces, and industrial sites are made seductively beautiful through rich detail, large-scale prints, and saturated colors - the result of long exposures made during late night or dusk hours. 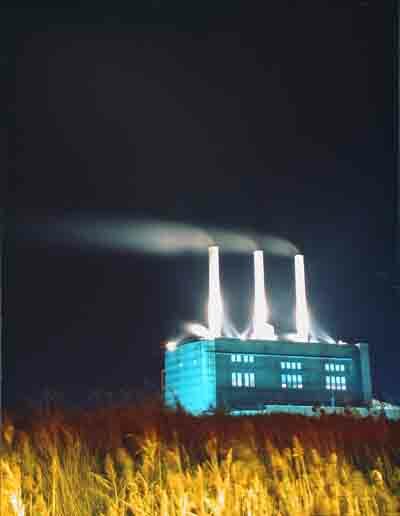 Her pictures show not just modern industry imposing itself upon the landscape but the beauty of a night sky lit up by florescent factory lights. By photographing these structures from such a distance, she retains a beauty and seductiveness that perhaps asks us to question the seductiveness of the lifestyles that these industries afford us. Keim received an MFA from the School of the Art Institute of Chicago and a BFA from the Columbus College of Art and Design. She has lectured at the Graham Foundation for Advanced Studies in the Fine Arts, Columbia College Chicago and the School of the Art Institute. Her work has shown at the NFA Space, Chicago, IL; the Chicago Cultural Center, IL; Catherine Edelman Gallery, Chicago, IL; Zolla Lieberman Gallery, Chicago, IL; Gallery 312, Chicago, IL; Peter Miller Gallery, Chicago, IL; the Glass Curtain Gallery, Chicago, IL; and the Graham Foundation for Advanced Studies in the Fine Arts, Chicago, IL. In addition, Michelle has received an Individual Artist Grant from the Graham Foundation for Advanced Studies in the Fine Arts; an Artist Grant from the Beck Institute for the Arts, Schaumburg, IL; a Community Arts Assistance Program Grant from the City of Chicago Department of Cultural Affairs and Illinois Arts Council; an Artist-in-Residence, a John Quincy Adams Fellowship, and a James Weinstein Memorial Scholarship, all from the School of the Art Institute.